Manchester United could be without the services of both Nemanja Matic and Marouane Fellaini during Saturday’s Premier League outing versus Arsenal, The Manchester Evening News reports. 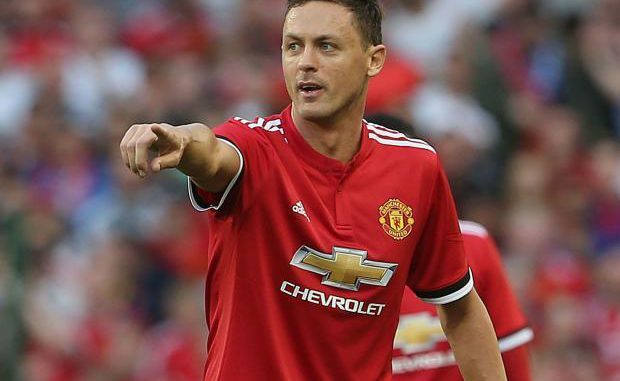 Matic, 29, sustained a muscular problem during the second half of the 4-2 triumph over Watford, and Mourinho hinted, later on, that the Serbian faces a race against time to feature against the Gunners. Meanwhile, Marouane Fellaini was left out of the matchday squad altogether versus Watford, and he is reported to have suffered a recurrence of a knee injury which kept him out of action in October. Should this be the case, Mourinho is likely to have to revert to Ander Herrera in midfield with skipper Michael Carrick still recovering from a heart procedure which has sidelined him since September. Herrera has been a regular on the bench since Pogba’s return from injury, but the Spaniard has had good success against the Gunners having contributed two goals including a winner in the 3-2 triumph over Arsenal last year. United played with three at the back during the midweek clash, but Jose Mourinho could revert to the regular 4-2-3-1 formation at the Emirates in order to feature the trident of Anthony Martial, Jesse Lingard and Marcus Rashford in the starting lineup.